Chanteur Country US né Carl Roberts Butler, le 2 Juin 1927 à Knoxville (Tennessee). Il est décédé le 4 Septembre 1992 à Franklin (Tennessee)..
Born in Knoxville, TN, on June 2, 1924, Carl Butler blended the popular honky tonk style prevalent in the '50s with the mountain harmony of his Tennessee upbringing. Though his early recordings were as a solo act, most of his popular material was performed with his songwriting wife, Pearl. Carl grew up influenced by the Opry's Roy Acuff as well as the old-timey music and bluegrass prevalent around his home. He began singing at amateur dances at the age of 12, and after service in World War II, he sang with bluegrass bands such as the Bailey Brothers and the Sauceman Brothers. In 1950, Butler began singing as a solo act at a Knoxville radio station; he signed with Capitol and began recording in his bluegrass style, but later changed to a honky tonk sound inspired by Lefty Frizzell and Hank Williams, who were then tearing up the charts. Though the sides weren't successful, he did meet Pearl Dee Jones at the time; she shared composing credits on his "I Need You So," and the two were married by 1952. 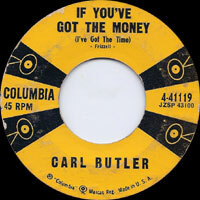 Carl moved to Columbia that same year, recording solo and with the Webster Brothers throughout the '50s. 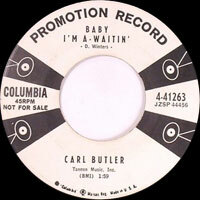 By the end of the '50s, Carl Butler still hadn't produced a charting single, though he had recorded steadily for almost a decade. Finally, in late 1961, his single "Honky Tonkitis" made it to number 25 on the country charts. 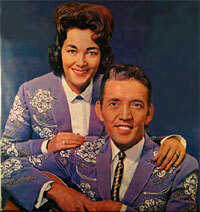 The Butlers joined the Grand Ole Opry the following year, and the exposure helped them push "Don't Let Me Cross Over" to number one. Their first single as a duo, it spent almost three months at the top of the charts, and led to an appearance in the film Second Fiddle to a Steel Guitar in 1963. 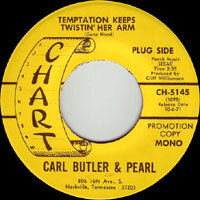 Carl and Pearl continued to chart as a duo throughout the '60s, hitting the Top Ten with "Too Late to Try Again" and number 14 with both "Loving Arms" and "I'm Hanging Up the Phone." The Butlers had worked with Dolly Parton around Knoxville for quite a while beginning in the late '50s, and they were her biggest initial supporters when she became popular in 1967. They continued to release Columbia albums during the '70s and also recorded for Chart and CMH, but retired in the '80s. 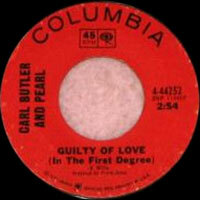 Carl Butler attempted something of a comeback in 1990, two years after Pearl's death, but it proved unsuccessful and he died in 1992.